Back in May, it was reported that Google would be entering the crowded and highly competitive messaging app market with its own service, called Allo. At the time, the search giant said it would launch this summer. Now, as the season draws to a close, the app is finally rolling out today. The mobile-only Allo works across both Android and iOS. 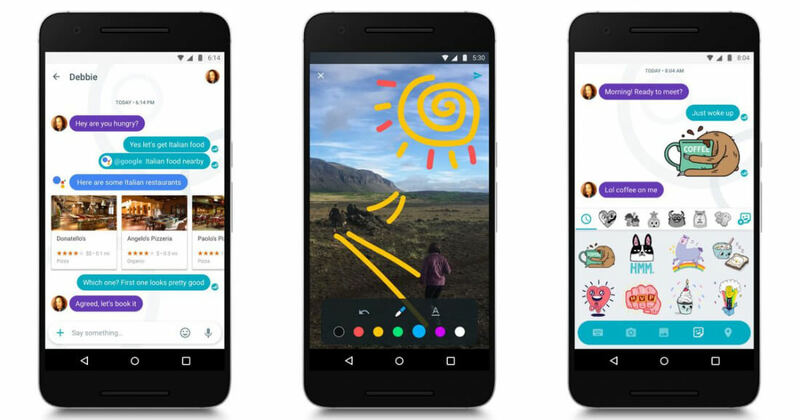 And while it includes the usual features found in pretty much every other messaging platform, such as group chats, stickers, and images, Google will be hoping that Allo’s machine learning capabilities will help it stand out from the pack. Like WhatsApp, you sign up to Allo using your phone number. Once it verifies your identity, it scans your address book for contacts that are also using the app. One of the main features of Allo is its inclusion of the “smart replies” system, which is also found in Google’s Inbox product. It offers short, contextually generated responses, including emojis, that users can tap on instead of typing out a reply. It becomes smarter the more you use it, eventually offering better and more appropriate suggestions. The other AI-powered part of Allo comes in the form of Google Assistant. Essentially an extension of Google Now, you can ask the smart bot questions and get it to perform tasks. It can also join in other conversations with your friends. The assistant is still in a “Preview” edition, so it may not be working perfectly just yet. Additionally, it’s set to appear in other Google products such as its smart speaker, Google Home. Limiting Allo to mobile may be a risky move for Google. The service isn't available on the web, tablet, or desktop, though the company did say it will look at expanding to other platforms eventually. Allo does have an incognito mode that activates WhatsApp-style end-to-end message encryption. It’s not turned on by default as Google says it stops the messenger’s machine learning element from working. It remains to be seen if Allo’s AI features will be enough to help it compete against the likes of Messenger, WhatsApp, iMessage, and Kik. While many other apps also offer chat bots, Google Assistant comes with a lot more functions, which could ultimately boost its popularity. One thing that could hamstring Allo is Google reneging on its promise that non-incognito conversations would only be stored temporarily on its servers. According to Google, this is to improve the Smart Replies feature.